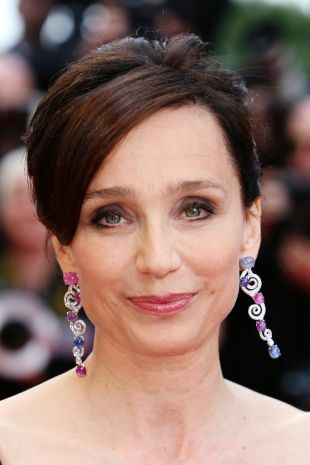 Early in her career, it looked as though actress Kristin Scott Thomas was going to be relegated to playing the kind of elegantly bloodless British women she portrayed in Four Weddings and a Funeral (1994), but with her role as the aristocratic but passionate Katharine Clifton in The English Patient (1996), Scott Thomas broke the mold, proving herself capable of projecting a good deal of sensuality and heat as her character embarked on a tragic affair with a Hungarian adventurer (Ralph Fiennes). The daughter of a Royal Navy pilot who died in an air crash when she was five, Scott Thomas was born the eldest of five children, in Cornwall, on May 24, 1960. When she was 11, tragedy struck again when her stepfather, also a military pilot, met a demise identical to her father's. Scott Thomas was left to help her mother look after the family and -- in contrast to what her film roles would suggest -- her situation was far from aristocratic. Although she had an interest in acting, her mother loathed the idea and sent her daughter to the Cheltenham Ladies College. Scott Thomas dropped out at age 16, spent some time in a convent, and eventually enrolled at London's Central School of Speech and Drama to take a teacher training course. Unable to resist the call of the stage, however, Scott Thomas quietly began studying drama. Unfortunately, the school's drama department advised her to pursue other professions. Scott Thomas was 18 at the time and in addition to being hurt by the drama department's rejection, she was also fed up with school. Seeking to gain perspective on her life, she went to visit some friends in Paris. What originally began as a two-week vacation ended in a permanent change of residence, after Scott Thomas took an au pair job and then fell in love with a Frenchman (she eventually married, and divorced, obstetrician François Olivennes, with whom she has two sons and a daughter). Though her new French friends teased her for being a funny little English girl, Scott Thomas found herself at home in Paris and decided to try acting again. At the encouragement of her friends, she enrolled in L'Ecole Nationale des Arts et Techniques de Theatres, honing her skills and finding the French school to be more supportive than its English counterpart. She gained experience playing small roles on-stage and soon went on to do some television work. After an inauspicious debut playing a headstrong heiress in Prince's Under the Cherry Moon (1986), she worked in a number of French films. In 1988, she was given her first lead in an English film, playing a cool-blooded aristocrat in A Handful of Dust. It wasn't until the 1990s that Scott Thomas began to attain recognition outside of Europe. Two years after starring as Hugh Grant's wife in Roman Polanski's Bitter Moon (1992), she came to the attention of an international audience in Four Weddings and a Funeral. Her second outing with Grant, the film was a sleeper hit, becoming the highest-grossing British film in the country's history. 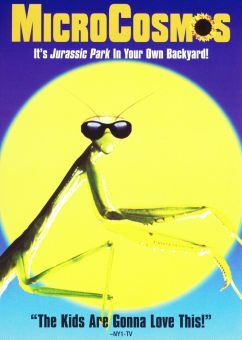 Following the film's success, Scott Thomas applied her talents to smaller films, appearing as Alfred Hitchcock's thorny assistant in the French-Canadian Le Confessionnal (1994) and a plain-Jane entomologist who finds herself embroiled in family dysfunction in Angels & Insects (1995). In 1996, the year of The English Patient, Scott Thomas fully stepped into the glare of the international spotlight, earning a Best Actress Oscar nomination for her role in the widely acclaimed film. That same year, she did less-heralded but no less respectable work in Richard III, in which she played the enigmatic Lady Anne, and Mission: Impossible, her first truly big-budget film. With Hollywood now taking full notice, Scott Thomas was cast in a coveted lead role in Robert Redford's 1998 adaptation of Nicholas Evans' The Horse Whisperer. The film proved something of a disappointment, although the actress was praised for her strong performance. The following year, she found herself involved in another high-profile project, starring opposite Harrison Ford in Random Hearts. 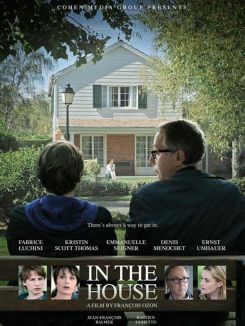 Playing a woman who discovers that her husband, who died in a plane crash, was having an affair with Ford's wife, who also died in the crash, Scott Thomas again got to demonstrate her ability at embracing roles that went far beyond the confines of the tea-sipping British aristocracy. 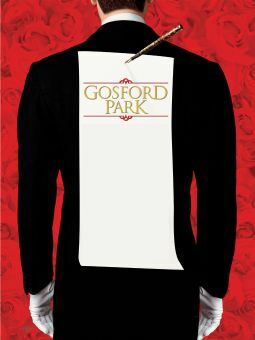 Subsequent work in Gosford Park and Tell No One kept Thomas busy over the course of the next few years, but it was back-to-back BAFTA nominations in 2009 (I've Loved You So Long) and 2010 (Nowhere Boy) that helped to end the decade on a decidedly positive note for the veteran actress. In 2011, she appeared in Salmon FIshing in the Yemen, and in 2012, played a Frenchwoman seduced by the much younger Robert Pattinson in Bel Ami. The following year, she re-teamed with Ralph Fiennes for The Invisible Woman. A grandniece of polar explorer Sir Robert Scott, and a niece of British politician Admiral Sir Richard Thomas. Father was a flier in the British Royal Navy who died in a plane crash in 1965; stepfather was also a Navy pilot who died in a plane crash in 1971. After being told she wasn't a good actress, dropped out of the Central School of Speech and Drama and fled to France, working as an au pair; she has lived there ever since. Made her film debut in Prince's Under the Cherry Moon (1986). Was named an Officer in the Order of the British Empire in 2003 and was awarded the Légion d'honneur from France in 2005. Made Broadway debut in a 2008 production of Chekhov's The Seagull. Elevated to a Dame when she was named a Dame Commander of the Order of the British Empire (DBE) in 2015.